article for Debbie Doos Magazine Copy Cat Challenge . by Kindra Clineff, is beautiful. here is a link to Amazon's website to see some of the book. Grab the blue button on the right side of the Amazon page to scroll down to see quite a few pages. on Friday, February 10, 2012 at noon CST to pick a winner. random generator picked #8 which is Nana Diana. after the ones I made for the copy cat challenge. basics from Tovah Martin on how to make a terrarium. during the colder winter months. I would love a chance to win the book. Saw you at Debbiedoos copycat challenge and think you did a great job. I had terrariums years ago and just planted a new one this year. I found some glass snails who reside there and don't mold. Thanks for the give away~Have a great day! Thanks for visiting my blog! I'm looking forward to exploring yours. I'd love to have a go at winning the terrarium book too. I've had so much fun making them. I'd love to have a go at winning the terrarium book. The one you made for the challenge was fabulous and I'll be looking forward to your tips. 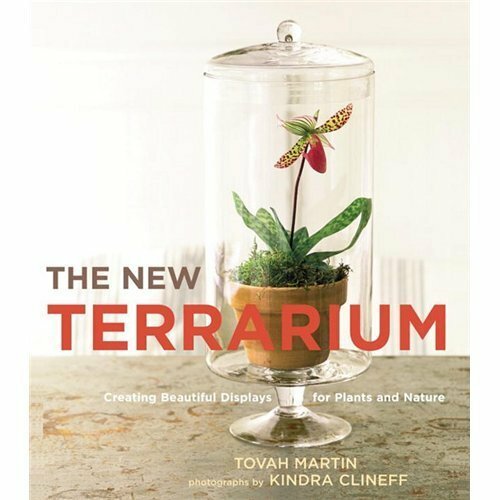 I would love to win the Terrarium Book. I have lots of indoor plants but no terrariums. Your Copy Cat ones were beautiful. Lowes Creative Ideas had an article about them too! Please enter me, never made one but would love to give it a try. Oh, please enter me in the give-away. I'd love to win!! I would love to try making my own terrarium and I think this book would help. Thanks for the opportunity to win! I would love to win this book as we are going to do a terrarium project in our 4-H club this year and new ideas would be wonderful. Thank you for great ideas and a giveaway. I've been noticing terrariums, too. I remember them from those crazy 70's I grew up in. My mom had one I made for school on her coffee table for years. Yours turned out beautifully! You've done a beautiful job with all your terrariums! Very creative projects that grow and evolve. Thank you for the great giveaway, I'll keep my fingers crossed!!! I would love to win a copy of this book. It brings back memories of creating terrariums when I was in college in the 70s. I would love to have a copy of the book! I think plants under glass are the neatest thing. I adore yours under the cloche! I would love to be entered in your fabulous giveaway. This is such a helpful post! Thank your for sharing. I hope to get this book that you mentioned and start my terrarium gardens!